Determine what you should keep in your home safe. When it comes to keeping your home as safe as possible, it’s important that you take the necessary precautions. Investing in the right homeowners insurance is a must. However, it’s also important to keep up on your home maintenance, and invest in a home security system and a home safe. A safe can help you to keep valuable items locked away to protect them in the event of a burglary or house fire. Ensure that your fireproof safe is bolted to the floor, and check out these top items to keep in your safe. After an emergency, it’s important that you have access to your financial paperwork. Plus, it’s important to keep your financial information under lock and key. Ensure that you keep information about your investments, retirement, debts, bank accounts, and anything else related to your finances in your home safe. Keeping your legal information safe is just as important as keeping your financial documents safe. Keep information about your estate, living wills, power of attorney, deed to your home, and any other legal documents that you may need locked in your safe. Keep personal documents locked in your safe. Your passport, birth certificate, social security card, insurance information, medical records, and any other pertinent information should be safely locked away in your safe. When it comes to protecting your personal property, it’s important that you have the right tools. 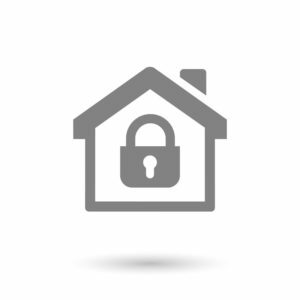 Lock valuables away in your home safe and have the right homeowners insurance. Contact the professionals at Robert J. Los Insurance Agency to find you the right insurance plan. Located in Hamburg, New York, we serve all your personal and commercial insurance needs.